There’s no doubt about it: being able to take a swim year-round is one of the best things about living in Florida. When you’ve got your own pool, it’s even better. However, not every home has its own pool, and of the ones that do, some have a pool that simply doesn’t meet their needs. Luckily, that mistake can easily be avoided with your pool if you take the time to honestly assess your situation. When working with swimming pool builders in Orlando, FL, it’s important to consider a few things to make sure your pool will work well for you, and these are at the top of the list! This question is by far the most important, because without proper space for a fenced-in pool, you’re not even getting to first base with this idea. Your backyard needs to have enough space to include a pool and make it deep enough for everyone to use it and enjoy it, but it also needs space for a fence to close the pool off from bystanders potentially falling in. If you don’t have enough space to keep your pool safe, you don’t have space for a pool. This question is almost as important because you want a pool that can meet your needs. Ideally, it should adapt to your family’s needs as they grow and develop new interests and skills in the water. For example, an eight-year-old might prefer to splash around in water he or she can stand in, but a 14-year-old might want to focus on diving. 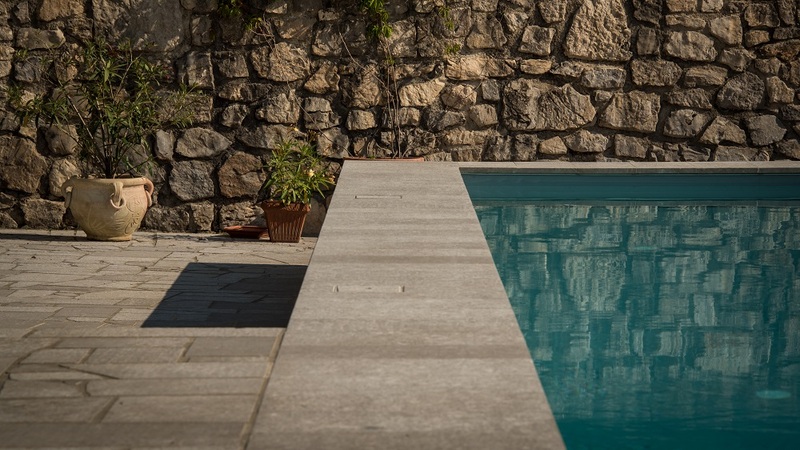 By creating your pool with enough space to make one end deep and one end shallow, you’ll make sure it continues to meet your needs as your family changes and you discover different interests in and around the water. How you plan to use the pool is a big part of determining how much space you really need. This goes hand in hand with who will be using the pool. If you just plan to have your family members use it, you’re not going to need a lot of space for anything besides the pool and the fence surrounding it. On the other hand, if you plan to host parties and cookouts at your pool on a regular basis, you’re going to need space to do those things. If you’re working with a fixed amount of land, as most people are, any space that you dedicate to hosting and entertaining guests will have to come out of the space designated for your pool. Before you have anyone start digging, you need to be honest with yourself and plan your space accordingly. When you’ve got a swimming pool in your backyard in Florida, you’ve got the flexibility to relax and enjoy the water 12 months a year. To get the most out of your pool, it’s important to have the right pool, and crafting a plan with swimming pool builders in Orlando, FL, is the best way to make that happen. By planning ahead, you’ll get the most from your pool for years to come!